Dr Julia has treated pregnant women up until the day before they delivered. Her gentle, Non-Force Chiropractic treatments are effective in keeping the pelvis aligned to ease delivery. She has successfully treated mom so breach babies turn on their own so mom could have a vaginal birth instead of a cesarean surgery. Dr Julia has a special pillow that allows room for mom's tummy when it is necessary to treat with mom laying face down. It is wise to have regular structural corrections for both the baby's and mom's comfort. The delivery process can cause the doctor to twist the baby's head and pull them out. 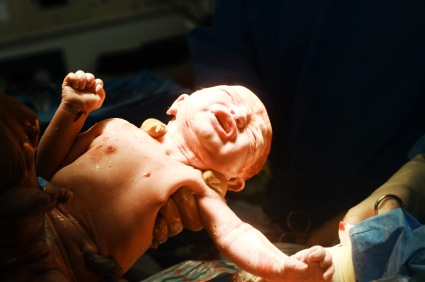 The birth canal also puts a lot of pressure on the baby's head and neck as they get squeezed on their way out. Correcting the alignment of the baby's neck relieves the pressure causing them to be uncomfortable. Dr Julia has helped colicky babies and their exhausted parents get a good night's sleep. One baby that Dr Julia treated cried every time she had her diaper changed. Turns out that a misalignment in her spine was to blame and after the correction she was a much happier baby when she got her diaper changed. Infant acid reflux is a natural part of a baby’s nervous system development. Babies naturally out grow this. Even so, Doctors are prescribing drugs like Prilosec to babies. Keeping your baby as upright as possible allows gravity to help keep the food down. Having Dr Julia treat them can help. Proper spinal alignment can make a huge difference and it has for the babies she has treated. Most mom's would never suspect that a misalignment of their baby's neck could cause an ear infection, but they do. Proper structural alignment keeps kids healthier.